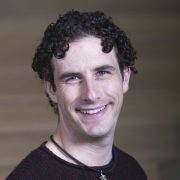 E. (Eric) Glen Weyl is a Principal Researcher at Microsoft Research New England. He is visiting Yale University as a Visiting Senior Research Scholar and Lecturer in the economics department and law school, where he teaches a joint economics-computer science course, “Designing the Digital Economy”. Glen was born in San Francisco on May 6, 1985 and raised in the Bay Area before attending boarding school at Choate Rosemary Hall in Connecticut. He was valedictorian of Princeton University’s 2007 class, receiving an AB in economics, followed by an MA and PhD in 2008. He then spent three years as a Junior Fellow at the Harvard Society of Fellows and three years as an Assistant Professor at the University of Chicago before joining Microsoft. He is a Sloan Research Fellow 2014-2018. Glen’s research draws on insights from adjacent disciplines (e.g. law, computer science and philosophy) to radically expand the scope of market exchange. For example, he developed a market mechanism for group decision-making, Quadratic Voting (QV) and proposed a replacement for private property that more efficiently allocates assets. He has published articles based on this work in journals including American Economic Review, the Journal of Political Economy, the Quarterly Journal of Economics, Science, the Proceedings of the National Academy of Sciences, the Northwestern University Law Review and Politics, Philosophy and Economics. He is drawing these themes together with his most common collaborator, University of Chicago law professor Eric Posner, into a book, Radical Markets: Uprooting Property and Democracy for a Just Society. The book offers auctions as a paradigm for redesigning the liberal order and is forthcoming from the Princeton University Press in April 2018. Glen is also co-founder, with Eric and Kevin Slavin, of Collective Decision Engines, a start-up that commercializes QV for surfey research applications. Outside his academic life, Glen serves on the advisory boards of Esopus, an art magazine. He is married to Alisha C. Holland, a political scientist of Latin America at the Harvard Society of Fellows and Princeton’s Politics department. Pacific Standard Magazine published an in-depth profile on Glen a couple of years ago.